Goring is a happy and vibrant community where children are treated as individuals by a dedicated and welcoming staff team. The curriculum we offer is broad and balanced and designed to enable children to develop strong learning skills which help them grow in independence and understanding in every area of learning – academic, social, moral and spiritual. We provide equal access for all children to a range of rich, creative opportunities both in and outside the classroom. At the heart of our school is our Christian faith which shapes and moulds everyday life. As we foster respect for each other and our environment and develop tolerance and understanding for the cultural diversity of the world in which we live, we seek to lay Christian foundations from which children can grow into caring and responsible adults in society. We recognise the partnership between home and school and the crucial role it plays in each child’s development. By working closely with parents, our aim is to foster a love of learning, a wonder of God’s creation and a readiness for the challenges ahead. Please contact the school office to arrange a visit and to discover all Goring CE Primary has to offer. This school takes its responsibility to safeguard children extremely seriously. If you have any concerns relating to a pupil please contact our Safeguarding lead Mrs C Jee via the school office. In the absence of the Safeguarding lead you can talk to Miss C Hancocks or Miss N Senior the Deputy Safeguarding leads. 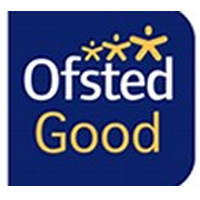 Click here to view the OFSTED Parent View Home Page. © 2019 Goring Church of England (Aided) Primary School.